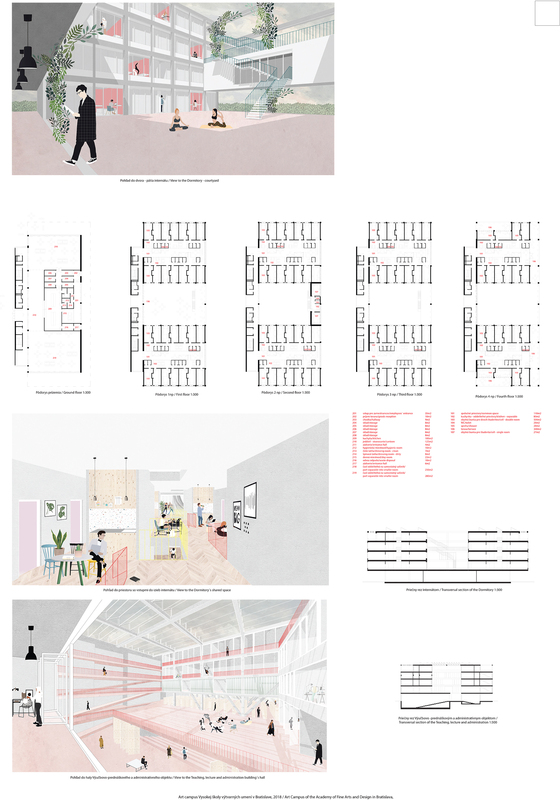 The Jury appreciates a clear operational and typological solution and proposed system of phasing, including a clear architectonic language. 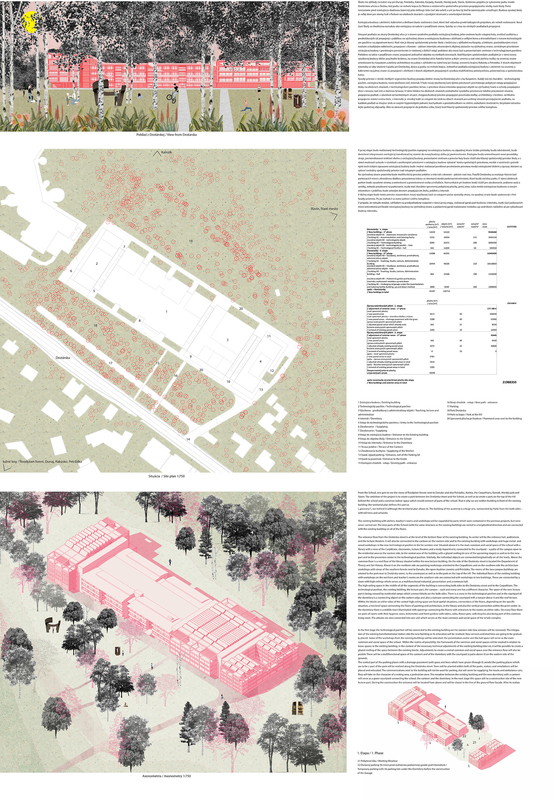 The proposal follows an original architectonic solution of the location and properly completes unbuilt modules of school of prof. Dušan Kuzma. It preserves the context with views towards environment and by not building on the area behind the school offers an intensive use of existing attractive natural scenery. 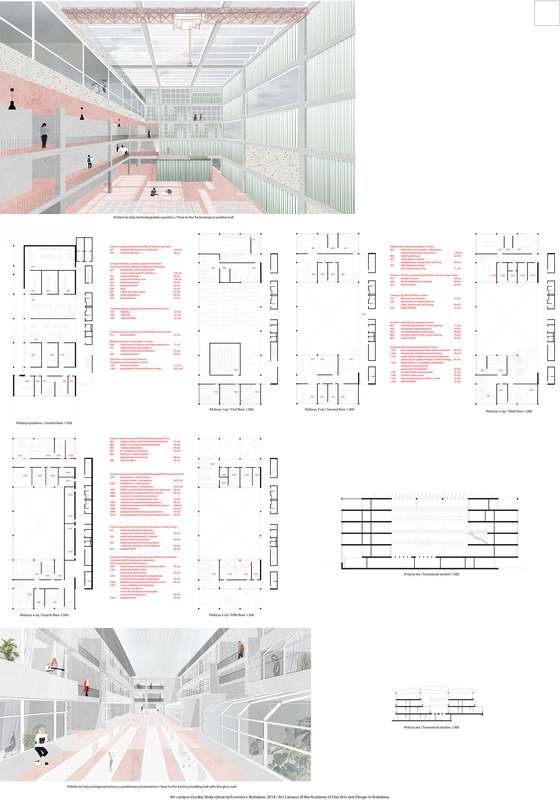 In the 1st stage, the proposal defines an open entry area between the extension of the existing school by adding a technological pavillion and dormitory, as an open square, which becomes a new entry and public space of school. 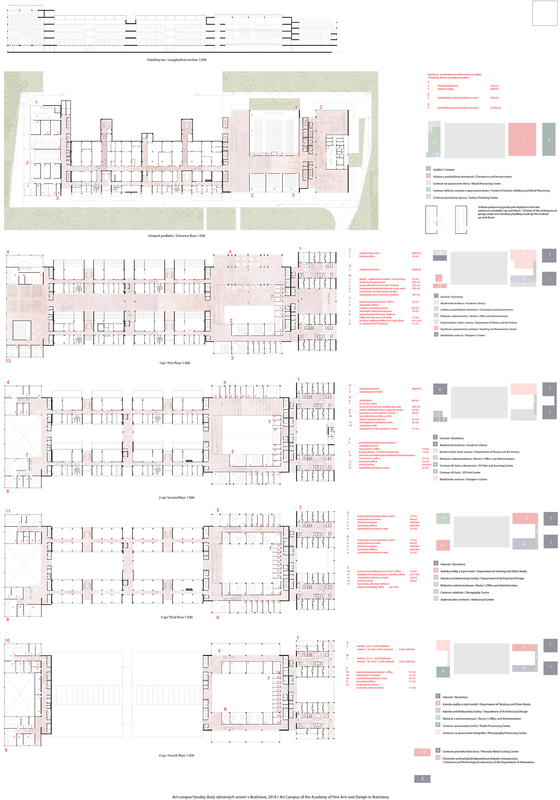 The jury clearly recommends the Announcer, that the winner will be contracted for further work on the project and at the same time recommends, that the finalised study will include a solution of roofing between the existing buildings from the 2nd phase which will allow formation of the passage as a required active social space of school's studios with their direct connection to a new technological centre.